It’s an idea for a math project, I swear! I am trying to think of lots of fun math-related activities and projects to do with elementary students, and this popped into my head when I was thinking about making rockets. No cats would be harmed or attached to rockets, it’s just the idea of launching the cat that matters. 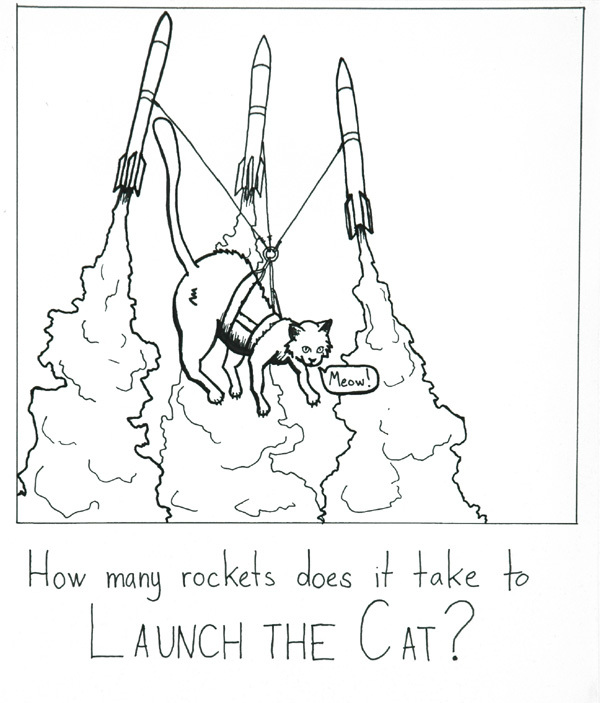 If one rocket is lifting x pounds, then how many rockets would you need to lift the weight of a cat? After doing a little research, it turns out that a few cats were used in space flight tests by the French in the 1960′s. They sent a Parisian stray named Felix, who made it back alive. Lucky Felix.